With a need to signal change, and an exciting move to new premises, the time was right for a complete rebrand for the South East Institute of Theological Education. Together with lead creative partner, Lemon Creative, we were asked to deliver a complete programme from strategy to implementation. Inspired by the history of south-east England’s missionary saint, as well as by the history of educational innovation that had characterised the College from its beginnings in 1959, SEITE was relaunched as St Augustine’s College of Theology with a gradual roll-out during Summer 2016, in time for the Autumn 2016 intake. 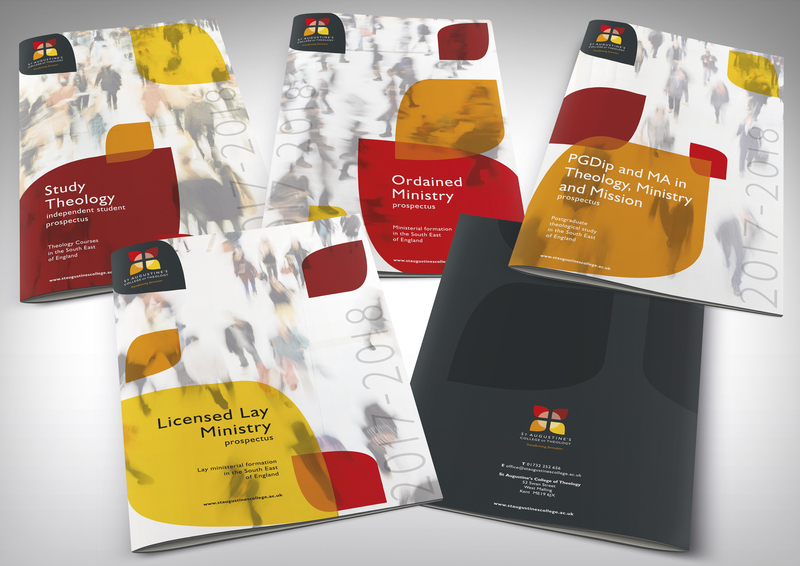 The St Augustine’s College of Theology prospectuses were adopted by Directors of Ordinands across the South East as exemplars.